One year ago, I left a stable job, and founded my own consulting firm Silk Tree with two partners with whom I share the same passion and vision. I always know what my dream is, where I am ahead off and who I want to be. One week ago, at Shenzhen fashion week, my dream came true. “Creating a tight connection between China and the Western world, pushing a vital business development that generates concrete results”. Our pilot trade mission with 6 Dutch fashion designers to participate China’s top fashion event Shenzhen fashion week was a great success for everybody! A traditional trade mission generally promotes a sector as a whole. I believe it is good to differentiate and create a strong Dutch design impression. This will require a well-defined core value proposition. It prevents from falling into a stenotype Dutch image of wooden shoes and windmill, and really stands loudly for the creative Dutch spirit. To unify the group and be able to present ourselves as such, it is import to have a unified label to work under. A theme of “Dutch design, designs cross boundary” came into my mind. As a Chinese living in Holland for a decade, what impressed me the most is the Dutch spirit that dares to think and create without limitations. Individual spirit, diversified values, different cultures, Dutch society accepts and motivates individual to be the unique oneself. Dutch spirit also value tradition, process and details. When we put every brand’s story into a unified Dutch spirit, this spirit in return reinforce each one’s brand’s giving it more synergy and dynamics. This is similar as Italian shoes brand could benefited from an Italian leather reputation and French perfume brand would benefited from the French reputation of elegancy. For Dutch brand, we want it to be benefit as a limitless design spirit, dare to be different, and strive for uniqueness. Shenzhen, adjacent to Hong Kong is traditionally known as China’s first special economic zone and one of the most developed cities of the economy of mainland China. However the strategic position in the fashion and garment industry is not widely known internationally. At present, there are over 3,400 garment companies and over 2000 brands registered in this city. There are and 300.000 people employed in the fashion industry in Shenzhen. In 2014, the city realized €18.8 billion of output value and €630 million on export. It is one of the most significant clothing producers of China. Gathering concrete interest from Shenzhen industry buyers will have strategic values for Dutch fashion designers to enter the Chinese market. 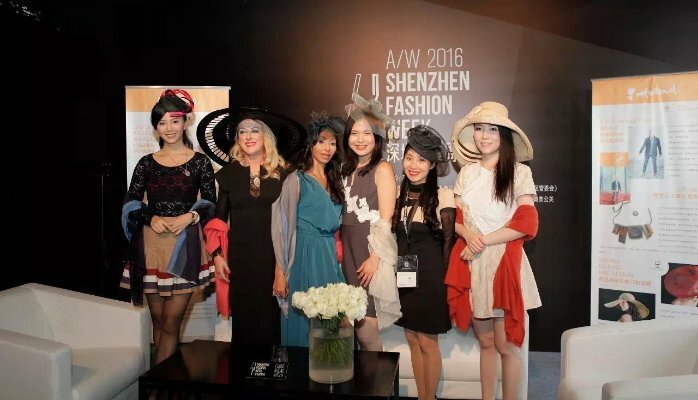 A large fashion event in Shenzhen is the precisely aimed entry for our Dutch design group. Our Dutch design spirit has achieved high PR attention during the Shenzhen Fashion Week. The two city mayors of Shenzhen and the chairwoman of the Shenzhen garment industry association visited our Holland booth with a group of media. Shenzhen top TV channel interviewed each designer. The whole trade mission group attracted a group of media in the press room leading to a dedicated press conference promoting Dutch design, designs cross boundary. The Dutch fashion design group opened a big door for the Chinese market! We managed to get concrete business prospects and intention for the designers in the group. The visitors coming to our booth is less in number than a traditional mega fair, but are higher in quality and relevancy. The fashion event is positioned for high-end fashion labels and authenticity and exclusivity are what major visitors are looking for. This greatly matches our participated designer brands. Dutch designers received a lot of compliment and interest from high end fashion buyers, vertical e-commerce platforms focus on high-end fashion labels as well as multi-brand stores. In the coming time the deals, prospects and leads will be worked out into the first bridges between the Dutch designers and Chinese companies. In the last days when I was still in China, the first follow up meetings were already taking place. I will have more meetings and calls with shops and platforms that want to work with the Dutch design group. Now, the end of the trade mission, it’s the beginning, the beginning of new concrete business opportunities for the Dutch design group. Dear vistor, welcome to Silk Tree crossborder business-2-business Order Processing Center (OPC). You need to be authorized to have access to our product & service catalogue. 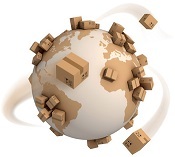 If you would like to become a member of our Silk Tree crossborder sourcing community, don’t hesitate to contact us.